The Palm Islands is a series of artificial islands in Dubai, United Arab Emirates on which major commercial and residential developments have and will be constructed. The islands are the largest land reclamation projects in the world and will result in the world’s largest artificial islands. They are being constructed by Nakheel Properties, a property developer in the United Arab Emirates, who hired the Dutch dredging and marine contractor Van Oord, one of the world’s specialists in land reclamation. The islands are The Palm Jumeirah, The Palm Jebel Ali and The Palm Deira. The islands were commissioned by Sheikh Mohammed bin Rashid Al Maktoum in order to increase Dubai’s tourism. Each island group is in the shape of a palm tree, topped with a crescent. 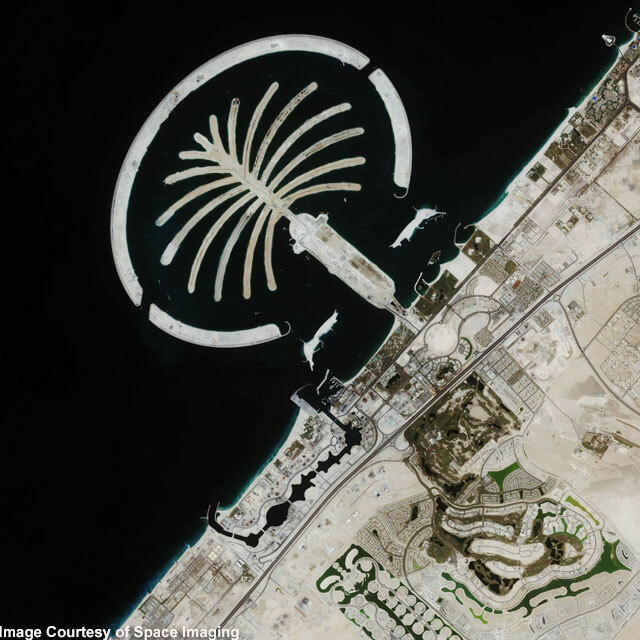 The Palm Islands are located off the coast of The United Arab Emirates in the Persian Gulf and will add 520 km of beaches to the city of Dubai. The famous satellite shot is all most people have seen of the Palms, so we felt a closer look at some of the existing developments and the work-in-progress on the third of the Palms was worth doing.